Keep track of upcoming events like birthdays and vacations with this easy-to-use 2012 printable one page calendar. Download the template, open it in Excel, and in no time you’ll be able to see the year at a glance. With a long-term view of the approaching year, you’ll be able to plan around upcoming events. Because it is only one page, the 2012 printable calendar is convenient and portable, so you can always have a copy close by for easy reference. This is a very popular template because of its simple design and efficient use of space. Try it out today by clicking the link above to download it. This 2012 printable one page calendar is great for looking at the entire year, but we have plenty of other templates that will allow you to see your schedule in more detail. If you’d like to see our monthly, weekly, or daily calendars, simply search the site. Don’t forget to tell your friends about this and other convenient templates on our site! 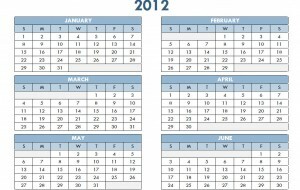 Looking for a 2013 calendar template? 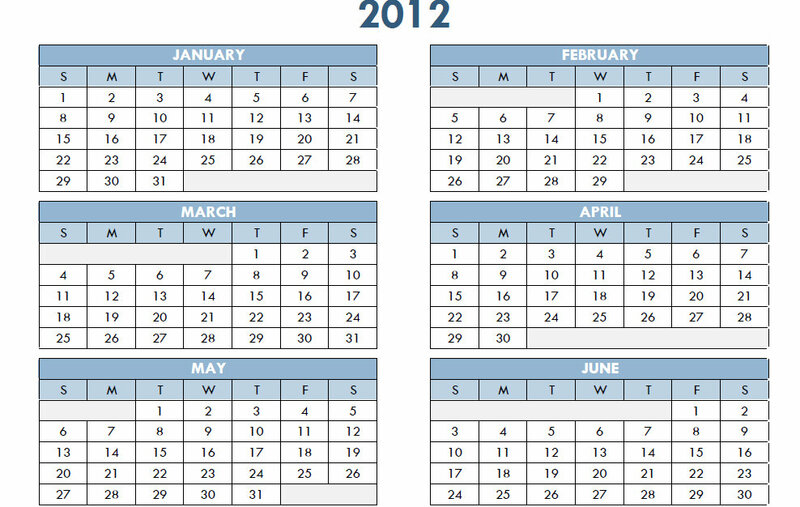 Download the 2013 Printable One Page Excel Yearly Calendar Template and start planning for next year’s major events. We found the 2011 planner brilliant. Is there a 2012 Yearly Planner not calendar.